Having worked in the building industry for 15 years, we are very aware that any kind of building work can result in stresses and hurdles along the way. Focusing on the magical end result of a stunning new bathroom, kitchen, loft conversion or full property renovation can be compromised by a whole host of different issues that may appear out of the blue, many of which are way beyond your control. We try to encourage our clients to think about all detailed aspects of their project at a very early stage. However even with the best planned projects, decisions can be required at short notice. This is not done to stress clients out but to ensure that their project remains on time and runs continuously without stops and starts waiting for decisions. As a professional, quality construction and refurbishment company who have been in business for nearly 15 years, we have developed a specific way of tightly managing the process. We encourage our clients to have a schedule of works done by their architect or a quantity surveyor so all works are itemised and run under a contract. If things are done in this way everything is then itemised and allowed for and if anything crops up that was unforeseen there will be a procedure in place to deal with it. At Refurb It All we allocate a team to each project who remain only on that project from start to finish. Specialist trades will be brought in during the project i.e. gas engineers and electricians but the main team and foreman will remain on the job throughout. We always recommend clients not remaining in the property if it’s at all possible during the project as it’s better for them and us. However if it’s not possible we endeavour to be as tidy as we can and will often section off areas and try to contain the mess and disruption. As already mentioned, having a proper contract and schedule of works in place should avoid this happening. 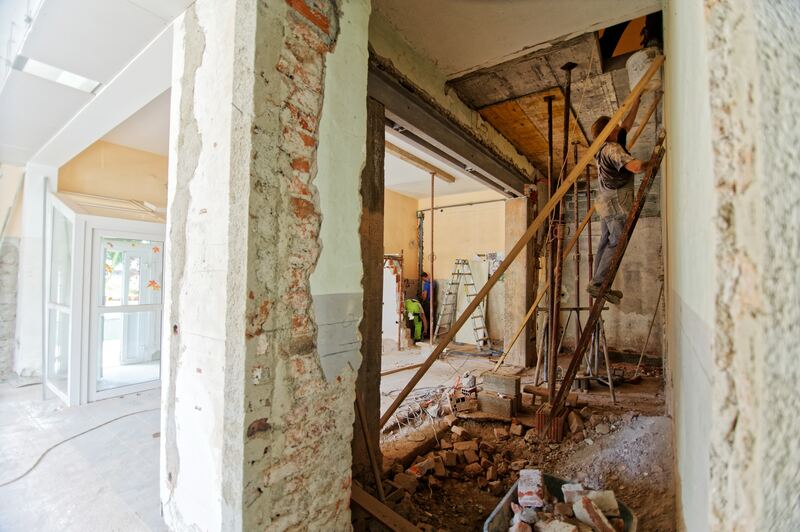 However we're sure that most architects will agree it is always a good idea for clients to have a contingency amount in place to cover any unforeseen items that may come up during the works.